The American Journal of Psychiatry and Neuroscience published research on 17 children with Down Syndrome (DS) to determine the effect of a vestibular exercise program on balance, coordination, and agility. The 17 children were recruited from two summer enrichment programs and were divided into two groups based on age (group 1: 9.9 yrs – group 2: 18.4 yrs.). Each participant was evaluated with the Bruininks Oseretsky Test of Motor Proficiency 2 subtests for balance, bilateral and upper limb coordination, and agility prior to and after six weeks of 2 times per week vestibular stimulation exercises. The vestibular exercises included an exercise maze that was developed to provide vestibular stimulation exercises in a fun atmosphere. There were 15 activities in the maze that included components such as balance, coordination, muscular strengthening, flexibility, and cardiovascular endurance. Both age groups showed improvement in upper limb coordination and agility. The older children demonstrated improvement in one of the balance subtests. 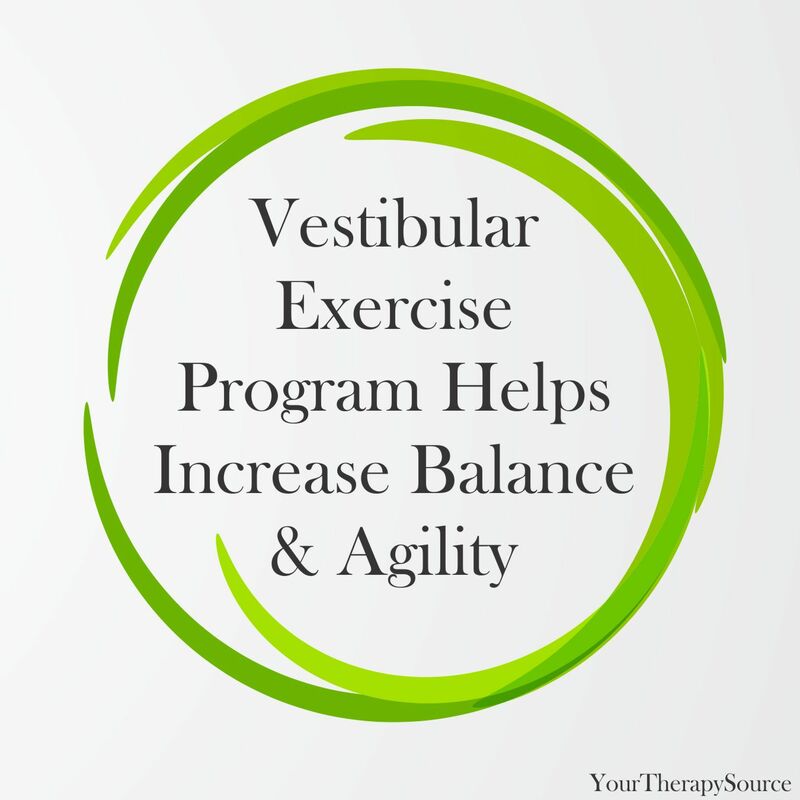 The researchers concluded that a vestibular stimulation exercise program could increase balance and agility in children with DS and possibly assist in increasing their functional ability. Reference: Carter, K., Sunderman, S., & Burnett, S. W. (2018). The Effect of Vestibular Stimulation Exercises on Balance, Coordination, and Agility in Children with Down Syndrome. American Journal of Psychiatry and Neuroscience, 6(2), 28. 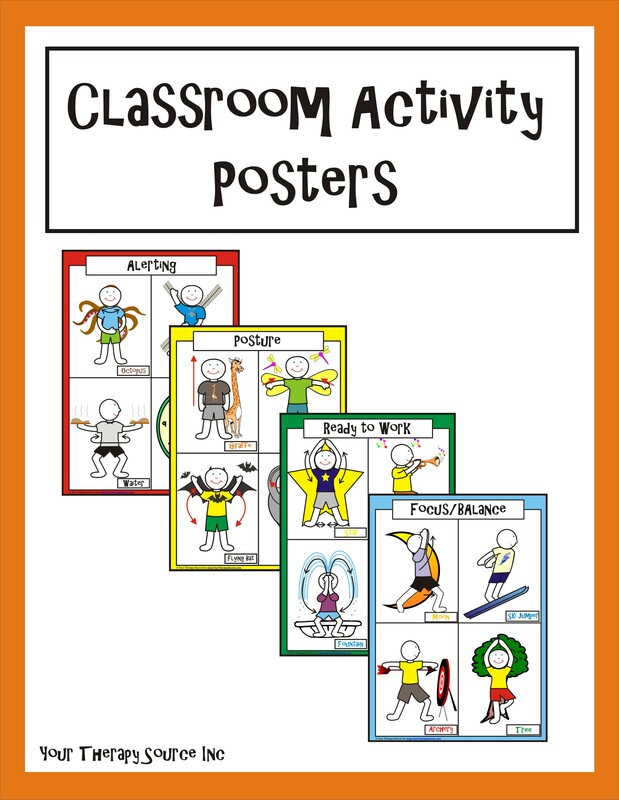 Classroom Activity Posters is a download collection of 16 exercise activities, 4 large posters and a brief, simple video demonstration of each exercise.The posters are divided into four groups: posture, alerting, ready to work and focus/balance. All of the exercises are performed in standing. Try these activities prior to starting fine motor activities, for posture breaks, to refocus students attention and for vestibular/ proprioceptive input in the classroom. Find out more information.